Iconic South African destination, Cape Point Cape Town – known for African ocean currents colliding over rugged rocks and sheer cliffs towering more than 200m above the sea and cutting deep into the ocean – this is the place to come to witness where two oceans meet. It is a must see on any visit to Cape Town: South Africa’s Mother City. 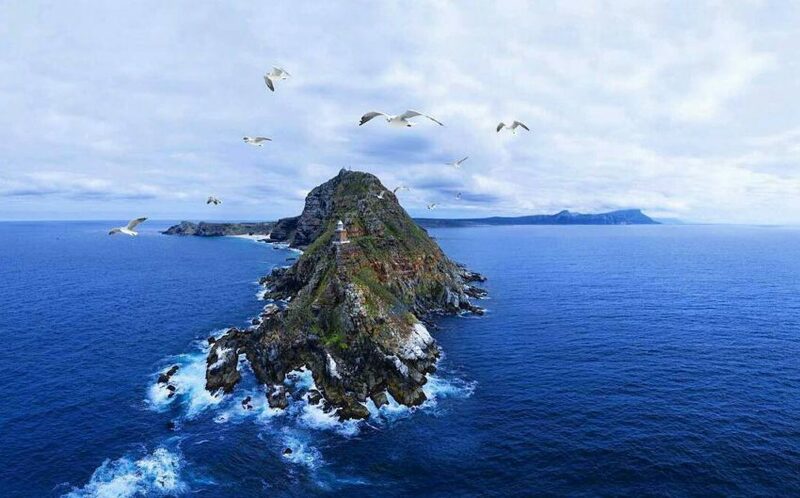 All roads eventually lead to Cape Point, the most south-westerly tip of Africa and the end of the Cape Peninsula. You arrive at Cape Point after either driving along the Atlantic Seaboard from the V&A Waterfront towards Sea Point, through beautiful Camps Bay, Hout Bay, over the iconic Chapmans Peak Drive to Noordhoek and Kommetjie and you will reach the southern tip of Cape Town. 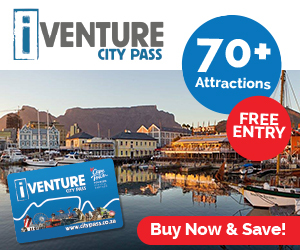 The other option is from Cape Town CBD head towards the University of Cape Town, pass the wonderful Kirstenbosch Gardens towards False Bay past the seaside towns of Muizenberg, Kalk Bay and Simon’s Town. Whichever you choose, the 60km journey will be beautiful and scenic. While this is part of the adventure, the reward at the destination is even greater, with stretches of fynbos, breath-taking bays, beaches and rolling green hills and valleys. Apart from the view, you’ll be able to see the most powerful lighthouse on the South African coast, which helps guide ships safely through the perilous waters that have seen to the end of many a vessel. Not for nothing was the point named “Cape of Storms” by Dias in 1488. For centuries it was a navigational landmark for mariners, and by night and in fog, it was a menace beset by violent storms and dangerous rocks. There are 26 recorded shipwrecks in the area and you’ll be able to spot some of them. Why two lighthouses at Cape Point? Construction of Cape Points first lighthouse started in 1850 at the highest point in the reserve, 238m above sea level. The lighthouse was first lit on 1 May and emitted a 12 second pulse of 2000 candlepower light every minute. 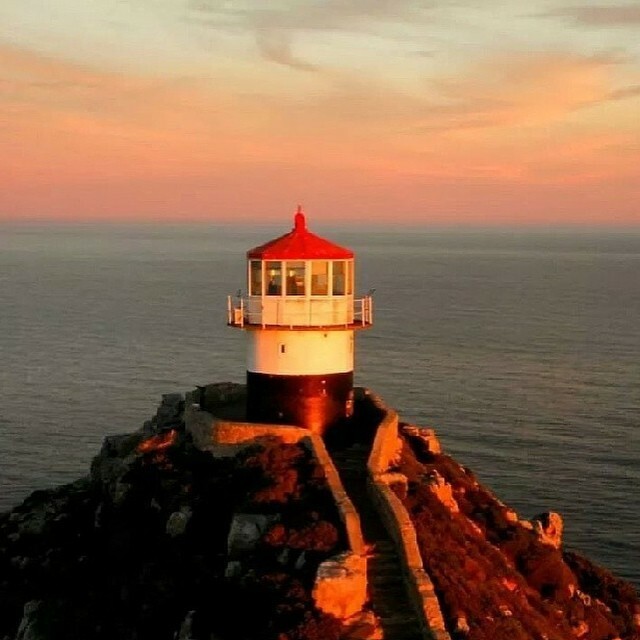 However, the highest point at Cape Point did not end up being the best sight for a lighthouse due to low hanging clouds, which resulted in obscured light for up to 900 hours a year. Construction on the second lighthouse, 87 m above sea level at Dias Peak, started in 1913 and was completed in 1919. Construction was delayed due to the First World War and accessibility to the building site. This lighthouse was eventually electrified in 1936. At 19 million candlepower, it became the most powerful lighthouse in Africa. The original lighthouse is now used as the centralised monitoring point for all the lighthouses on the coast of South Africa. Access to this historical building is by an exhilarating three-minute ride in the Flying Dutchman Funicular that transfers visitors from the lower station at 127m above sea level to the upper station at 238m. The funicular railway takes it name from the local legend of the Flying Dutchman ghost ship. Apart from offering visitors and exciting and novel method of travel, taking the funicular saves them a long uphill walk from the car park to see the old lighthouse and enjoy the panoramic views. Africa’s only commercial funicular is also wheelchair friendly and leaves from the lower station every three minutes. Like Table Mountain and Kirstenbosch, Cape Point falls within the Cape Floral Region, a world heritage site. 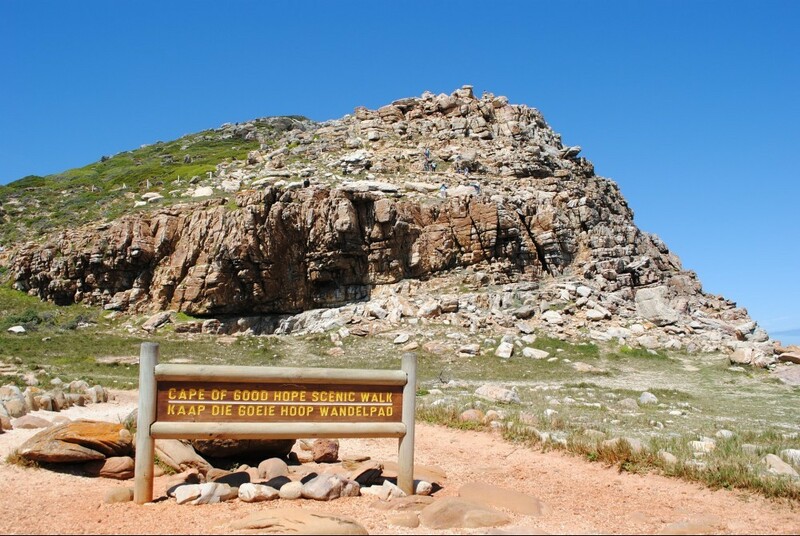 It is also the most southerly point within the Cape of Good Hope reserve of Table Mountain National Park. 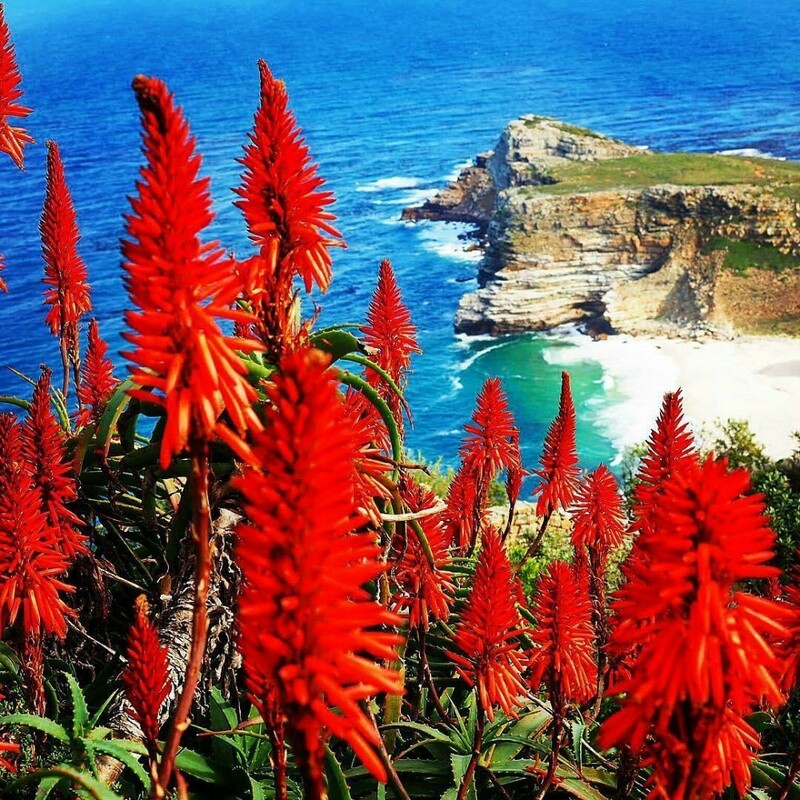 The Cape floral kingdom is one of the richest areas for plants in the world, home to nearly 20% of Africa’s flora. Look out for 250 species of pelagic birds, zebra, eland, and the man species of reptiles as well as small mammals. Chacma baboons are common here, especially at the point itself. Do not feed them as they are wild animals, best to stay well away from any baboons you see in the reserve. 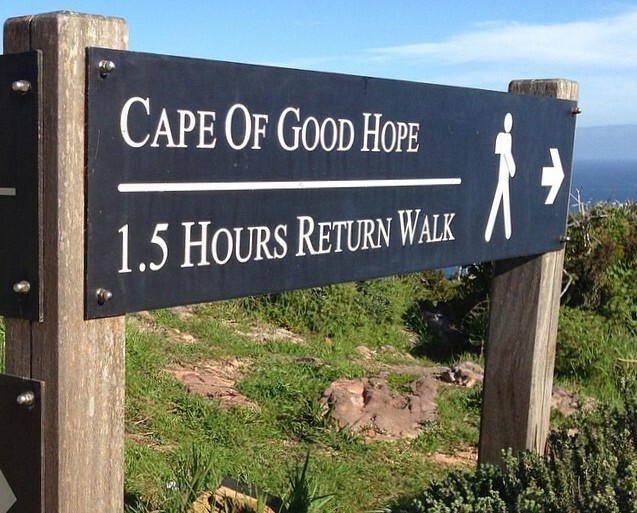 There are two options for getting food at Cape Point. 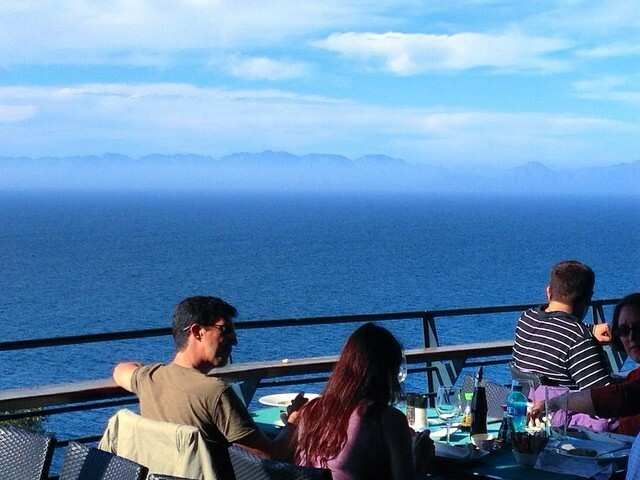 The Two Oceans Restaurant occupies an enviable position above False Bay at the southwestern tip of Africa. The restaurant is famous for its seafood cuisine as it is for a superb wooden deck that looks out onto one the most stunning ocean views in South Africa. The other option is the Food Shop which has a variety of light take-away meals and refreshments for those wanting a quick, casual bite to eat. A selection of sandwiches, pizzas, coffee and snacks is available, and visitors can enjoy their meals in the outside seating area. There are three shops near the upper and lower funicular stations selling a range of Cape Point- and traditionally South African – memorabilia, curious and souvenirs. Each store has a unique take on the natural beauty and fascinating maritime history that defines Cape Point and is well stocked with items to remind you of your trip to the most south western corner of Africa. The shops also stock some travel essentials like sun block if required. 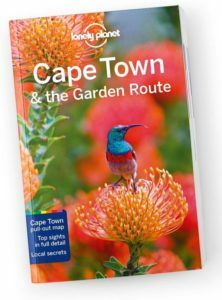 Information about the plants and animals to look for during each season can be found at the Cape of Good Hope Visitors Centre. The reserve is a favourite of outdoor enthusiasts and offeres hiking, surfing, angling, picnicking, beaching and cycling opportunities against the spectacular backdrop of the mountains and coastline of the Cape Peninsula. Free guided walks are offered at Cape Point on selected Sunday mornings throughout the year. For a fun information rich and easy to use way of enhancing your exploration, simply download the Cape Point audio tour, plug in your earphones and press play. Starting from the main parking area, the audio tour shares fascinating information about the national park’s maritime history, fauna, flora, Cape Point legends and the funicular. Using the highly accessible platform, Voicemaps, the audio tour is available for free download via Apple and Google play stores. We hope you enjoy your visit to Cape Point Cape Town and we will be more than happy to answer any questions you might have. What a beautiful site and place to visit! The Cape Point at Cape Town looks like a place that everyone would want to visit at least once in their life. The views are stunning, and it is an awesome place to see where two oceans meet. There appear to be many things to do while there too. I can see why South Africa is a tourist hot-spot just based on the look into this particular location. I have not been there yet, but it is on my bucket-list. No doubt I need to get there as soon as possible. I have friends who live in Cape Town and they have invited our family down. Now that I see these gorgeous pictures, and know that there is so much to see, to include the Cape Point area, I will have to work with the wife to get South Africa moved to the top of the list we have. Thanks so much for sharing and letting us know all about this great place! 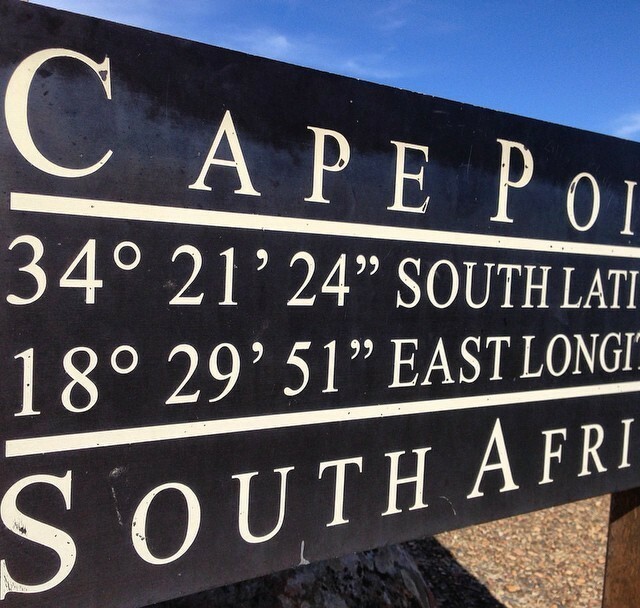 Great post and excellent writeup about Cape point in Cape Town where two oceans meet. I have once read about the location but it was never fully described and written about the way you did. The lighthouse remain one of my bucket list items and I guess I now know the perfect one to visit. This tourist site looks superb considering the sights and activities involved, especially the flying dutchman. Great work, keep up the good work. Wow! What an expository article. Hi MIchael you should try and get to South Africa, you will have such a great time. Hello Jamie, looking at the clear picture of Cape point where two oceans meet, I can’t seem to get enough of the picture. I mean it is kinda mysterious, and at the same time captivating. From the shape of the Cape of Storms alone, one can easily see that it will be a menace in the night. It will be fun and breathtaking to eat while sitting at the point where the two oceans met. Your well descriptive view of the Cape Town and the Cape point, with the nice clear cut picture has awaken a sudden hunger to experience these wonderful scenario in reality. Hi Gracen if you enjoy beautiful scenery then you should consider visiting Cape Town, you will not be disappointed. Hi Ajibola thanks for visiting Cape Town Locals and glad to hear that you are coming to Cape Town. There are some accommodation options at Cape Point but mostly used by locals. We would not recommend that you stay in the reserve. There are a number of coastal towns close to Cape Point like Simons Town and Scarborough which are very beautiful. However we would recommend that you stay in Cape Town CBD, Waterfront or Atlantic Seaboard and do a day trip to the point. I have been to Cape Point a number of times in my life and it’s beauty never ceases to amaze me. My folks stay in Fish Hoek which is about a 45-minute drive from Cape Point, and the drive there is also breathtaking I may add. We have always done the hike up to the point, but next time I think must try the funicular for the experience of it. It is getting a bit dangerous to walk there at the moment as the baboons are getting way too tame and are prone to attacking visitors. I enjoyed reading the history that you provided about how the lighthouses were built, and will view them in a different light the next time that I visit. Hi Michel glad to hear you have been here, yes the baboons have become very familiar with the people and officials warn tourists not to feed them which is the problem. However there have not been any incidents besides them stealing things that are left behind or unattended. 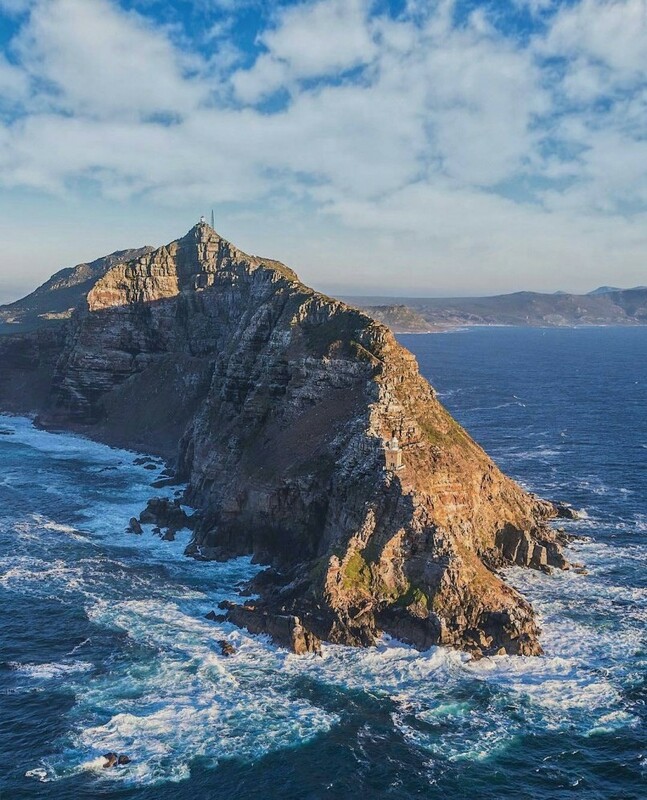 Wow, what a beautiful and wonderful article about cape point where two ocean meets. This is a place to be during the summer period. Your post explains it nicely with what to see including the animals as well as the different foods available. Cape point coast will be a lovely place to visit with my camera. thank you for this post. Hi Aduma Thanks for visiting Cape Town locals and yes if you are a photographer you will be really spoilt for choice, looking forward to seeing you soon. 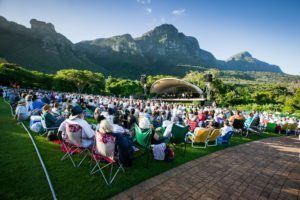 I have never thought of visiting cape Town but this article has really triggered my interest and I have made up my mind right from this moment that I will be visiting cape Town for my next vacation to explore the beautiful nature there. I really love the place because I can see measures has been taken to make sure people coming to visit are comfortable such as the restaurant and so on. My question is if you don’t mind what are the names of the ocean that meet at the point? Hi Lok glad to hear that you have made up your mind to come visit Cape Town, you will not be disappointed with your choice. The Atlantic and Indian Oceans meet at Cape Point. Looking forward to seeing you soon. Hi i read your whole article about cape point in cape town where two oceans meet together. I think cape town is one of the most beautiful place in the world. It attracts a lot of tourists, when is the best time to visit to avoid queues? I think that it’s a great place to spend time and meet the local Cape Town people. Thank you for visiting Cape Town locals, yes there are lots of tourists but queues move fairly quickly. The busiest times are over Christmas and New Year when the city gets quite full. Hope to see you soon. The cape point Cape Town is indeed a very beautiful and astonishing place which everyone should visit to experience the beauty of nature. From reading your post I am very interested in planning a trip to Cape Town. I cant wait to come stand on the edge of Cape Point and see this marvelous view. Hi Kenechi thanks for visiting Cape Town Locals, yes Cape Point is a really beautiful place to visit, you will thoroughly enjoy it. Hi! I have been impressed with the magnificent views seen in pictures of Cape Point. But being there in person would be even better. The fact that two oceans meet at that point is impressive. And I understand that great storms are also fierce there. Not in vain has it received the name of The Cape of Storms. 26 recorded shipwrecks in the area makes it a dangerous spot. It’s wonderful to hear that in such perilous waters there is this powerful lighthouse. The most powerful lighthouse in Africa. The answer to the hostile environment has been this 19 million candlepower lamp. What a remarkable illustration of our lives and God’s gift. The lighthouse was electrified in 1936. Is it still working? Hi Henry yes the lighthouse is very much still working. As you correctly say the area has a rich maritime history blended with natural beauty, something awesome to behold. Hope to see you soon. Hi Jamie. What a beautiful site. The photos are simply breathtaking and the details are right to the point. Congratulations on a good design site. Hi Claude thanks for visiting Cape Town locals and glad you enjoyed the pics we provided, so when do we see you? In a way, this post makes me think of the nearest metro area to my hometown, called Pittsburgh, Pennsylvania, where two rivers meet to form a third river. The only difference is Cape Point blows Pittsburgh out of the water with its majestic scenery rather than buildings! I’ve read several of your posts which have swayed my desire to perhaps venture into Cape Town, but man, the scenery here takes my breath away. Fantastic view, the light houses, the life springing up all around, it’s the perfect getaway. Cape Town is such a beautiful city! My roommate visited this past December, and had quite a lovely time. I really hope I get to visit soon to see the natural beauty of sites such as Cape Point and other well-known sites such as Table Mountain. Thanks for the tip on the audio tour! Hi Christen yes it is indeed a beautiful City and you will have a wonderful time, so please start planning your visit. Hope to see you soon.